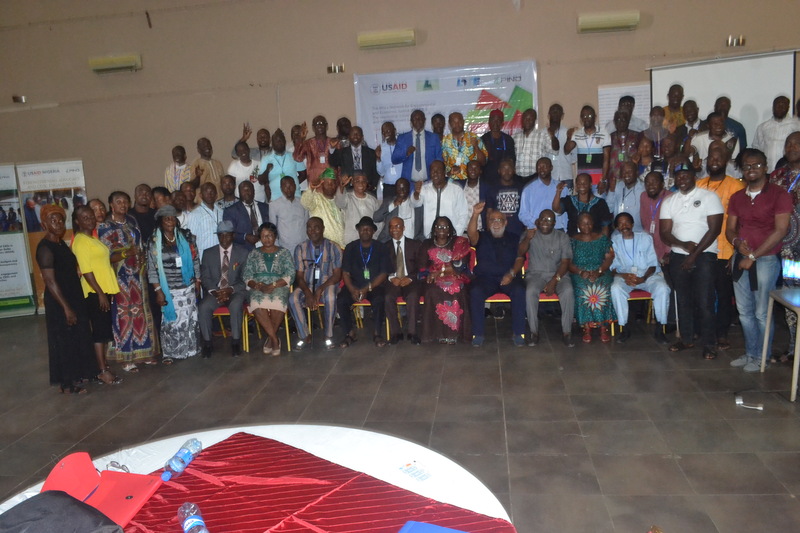 Of the over 100 persons attending on behalf of Niger Delta communities, civil society organizations, government agencies, Niger Delta Institutions and media organizations who converged at the Best Western Hotel, Benin City on August 2, 2018, for a Niger Delta Institutions Learning Forum, two of them – the Africa Network for Environment and Economic Justice (ANEEJ) and Leadership Initiative for Transformation and Empowerment (LITE-Africa), actually had a big fish to fry. 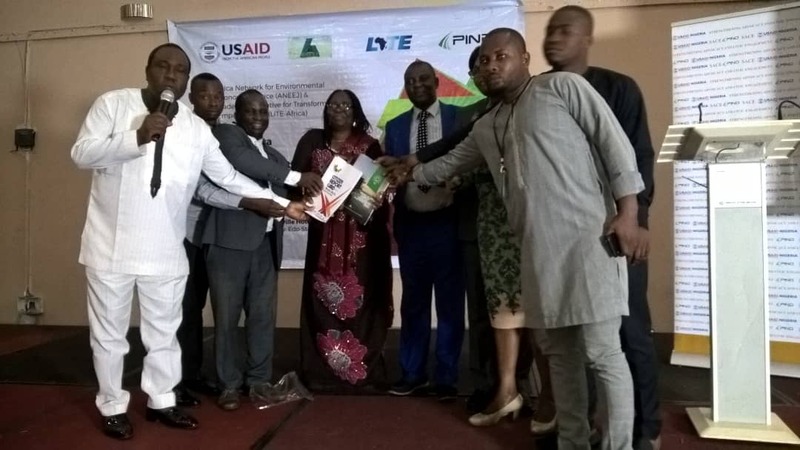 That an event – to publicly present two significant institutional reports – the Citizens Report Card on the Niger Delta Institutions, and the Niger Delta Institutions Transparency and Accountability Index, the NDITI, was driven by the “Participatory and responsive governance for sustainable development in the Niger Delta”, theme. 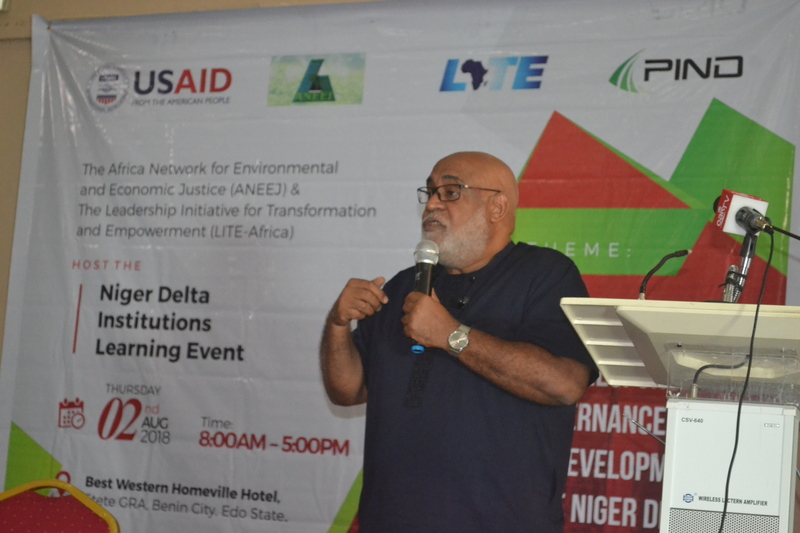 Both reports were outcomes of a monitoring and evaluation of the performance of government intervention agencies in the Niger Delta region like the Niger Delta Development Corporation (NDDC), the Ministry of Niger Delta (MoND), and all the other Oil & Gas Producing Areas Commissions popularly referred to as the PADECS. 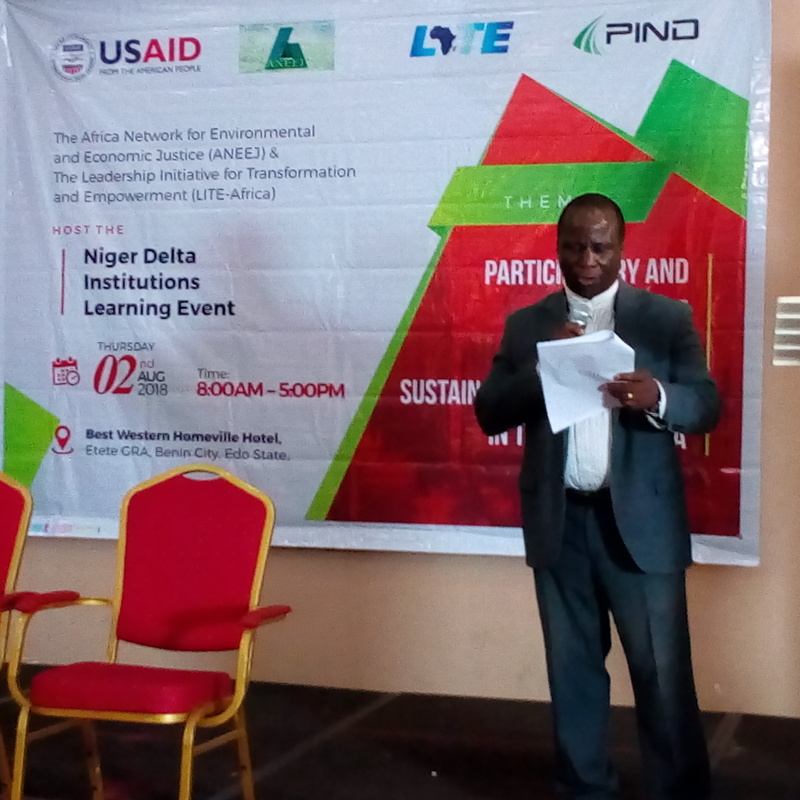 A great many of what participants observed include the fact that both the Citizens Report Card on Niger Delta Institutions and the NDITI are catalysts that emphasize the need for empirical evidence for measuring the performance of Niger Delta Institutions (NDIs). Similarly, participants said that communities across the region are beleaguered mostly because of issues of access to information, engagement with the NDIs and lack of participation in the decision-making processes. They said that what makes this worse is that there is weak communication and improper feedback systems between the NDIs and communities in the region; the participants were worried as well that there are factions within community groups and whose activities hamper development in the region. Non-participation in the budgeting processes of NDIs by citizens and poor disclosure of NDIs’ budgets and other project information presents an obstacle to citizens’ engagement in the region. The NDDC Act should be reviewed to incorporate provisions on citizens participation in the design, implementation and monitoring of projects. 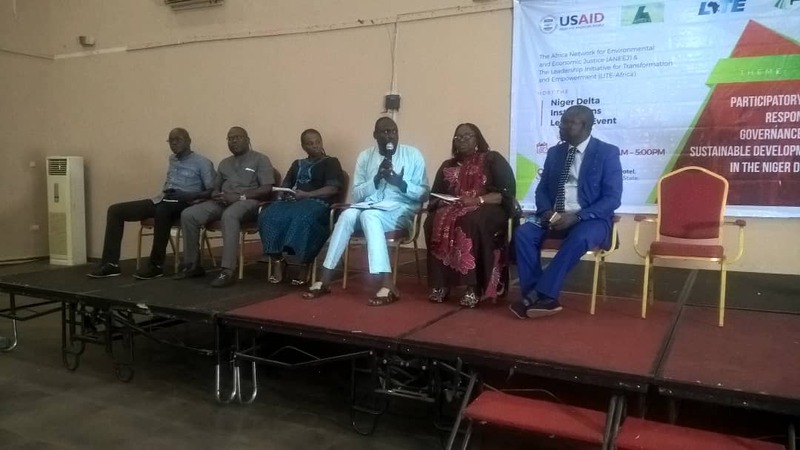 NDIs should carry out sensitization programmes on their mandates and available feedback channels to enable citizen engage with them appropriately. 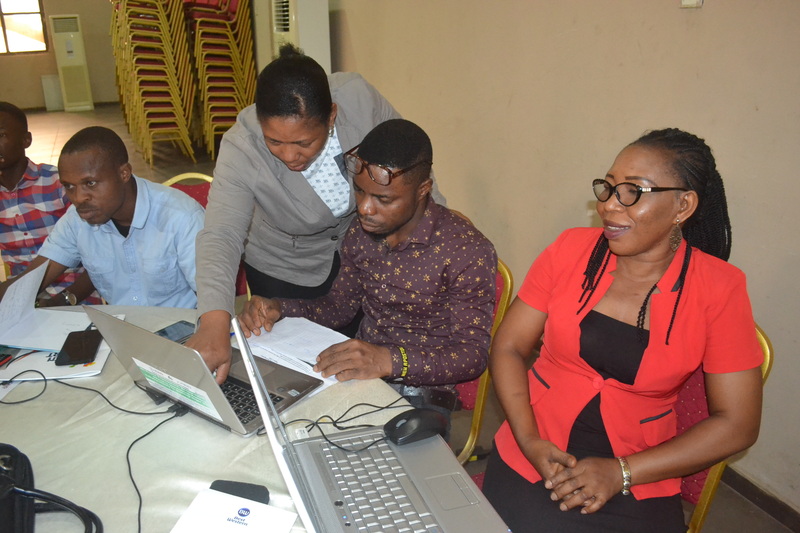 Civil Society Organizations must consistently build their members capacity to generate evidence in order to ensure knowledge based engagement withNDIs.